Every year there are a number of reports about giving. Most of them compare the past year to the year before, as if that really told the story. A few years ago, the big news was that bequest giving was way up. But digging deeper, the real story was that one person left a $1 Billion bequest and yes, that impacted numbers. But it didn’t change the fact that looking longitudinally, overall bequests count for about 8% of all charitable giving. It reminded me of the time a successor told me that in his first year “he” raised $1 million more than “I” did in my final year. Personally, I thought that was great and asked him how he did that. Well great, but the one thing we know about a bequest gift—you are never going to get another gift from that donor. So to count it as an “increase” rather than a one-time windfall is a bit unthruthful. Likewise, never a fan of worrying about what the top 400 nonprofits are doing, I do question the Chronicle’s including donor-advised funds as a way of measuring giving to charities. Giving to a donor advised fund—or a private foundation—is a wonderful thing. But to compare that to making a gift to an organization that is actually using those funds to provide charitable services seems wrongheaded. More to the point, in your own organization, to only look at one year and decide it is a trend will, I think, put you on a wrong path. 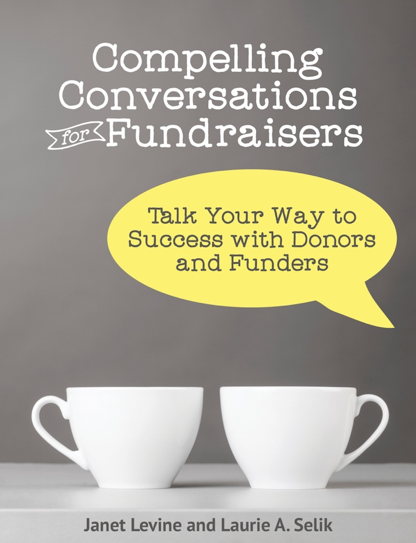 Fundraising success relies on a lot of things, not the least of which is consistency. Not, mind you, stagnation, or doing something over and over again with bad results hoping that repetition will bring good ones. But looking over a number years at trends and seeing what is and is not working. Likewise, make sure you are looking at your donors. Consistent donors are loyal donors—and they are the most likely to support you in all your endeavors. Do not keep treating them as if their one gift this year is what they are worth. That donor who made a $250 gift this year? What did she do last year? And the year before? Is her donation going up? Down? Staying the same? Try connecting personally with her and asking why. Begin a dialogue to discover why she—unlike the majority of donors—stays with you rather than becoming one the vast majority of first time donors who never become a second time donor to an organization. Find out what motivates this donor—and help her to make a difference in a way that highlights her values. And then show her, year after year after year, how her support benefits and enriches the mission you serve. This entry was posted in fundraising and tagged capacity, consistency, development, donor attrition, fundraising, longitudinal studies, loyal donors, measuring, retention. Bookmark the permalink.